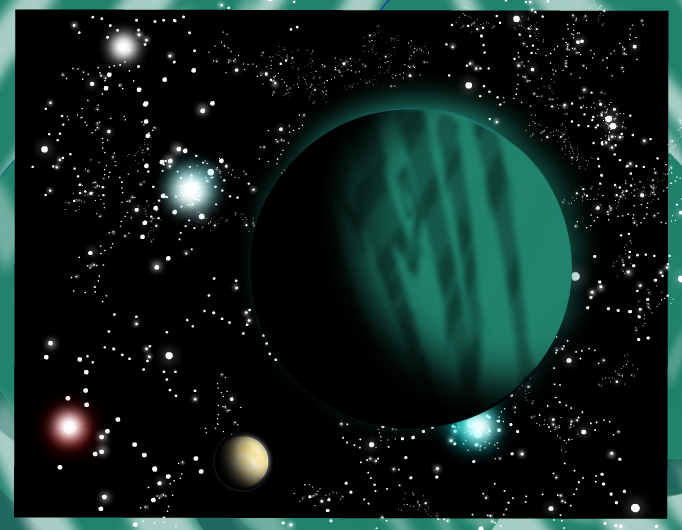 Circling the gas giant Mannanan, the icy moon of Brightskies is inhabitable only beneath its domed research base. The views, however, more than make up for this restriction. Visitors are cautioned that Brightskies base is not considered a tourist attraction and recreational facilities are scarce. But it's worth going, to observe those worlds. Pero vale la pena ir, para observar esos mundos.